We recently purchased a brand new second monitor for our studio, a VX2753mh-LED 27" Widescreen LCD by Viewsonic. It's about time! We've been needing to move up to a 2-display editing setup for quite a while. 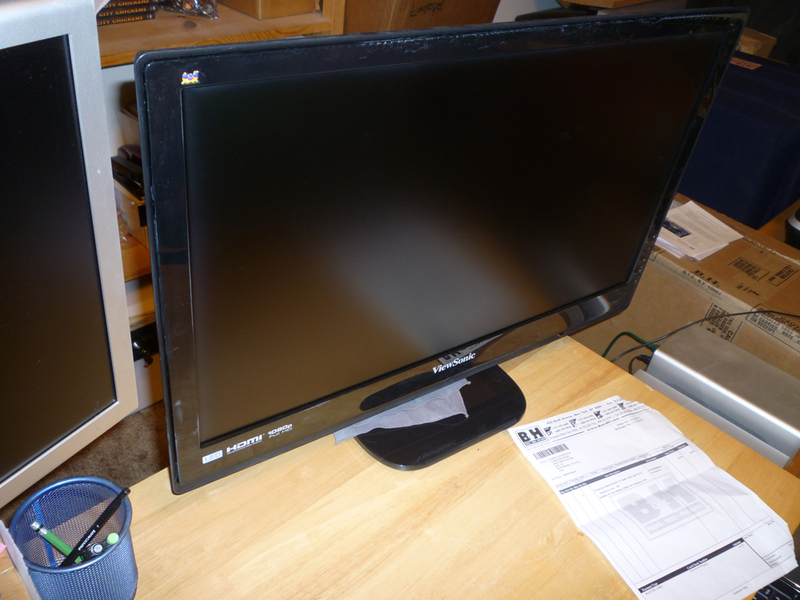 Yeah the 27" Apple Thunderbolt display is super sweet, but this Viewsonic was a quarter the price. Lesser quality, yet it will work for us right now.